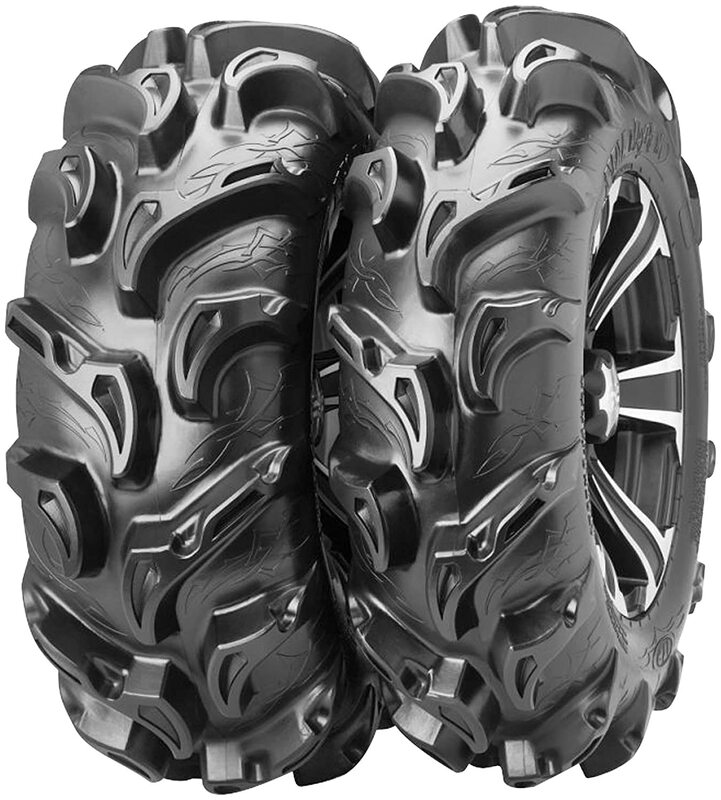 Do you know when you should replace your mud tires? You should be careful and replace your truck tires at the right time to avoid compromising your vehicle’s ability and also your life. Tires are considered as worn out when they reach down to 2/32-inch of remaining tread depth. Some tires are designed with “wear bars” in their tread pattern; inside and outside shoulder to help drivers know when the tire is worn out. As tires wear out, they seem to improve dry traction and handling while their snow and rain handling and traction diminishes. If you drive your truck on wet roads, consider replacing the truck tires when they reach about 4/32-inch of remaining tread depth. Because water can’t be compressed, your tires should have great tread depth to enable the water to evade through the tires grooves. If water can pass through the tire grooves, they will lose traction and your truck may get stuck. For snow conditions, mud tires should be replaced when they reach about 6/32-inch of remaining tread to ensure you maintain great mobility. You need deep tread depth for snow conditions because tires require to compress the snow into their grooves and then release it as the vehicle moves. In case, your tires have less tread depth they won’t be able to keep rolling on snow roads. 2. How do your tires “feel” as you drive? • If you tire has the above signs, but doesn’t show any damage, you may have to consult a dealer for a detailed inspection. There are various factors that cause tire wear with each aspect causing a different type of wear. Irregular tire wear is very frustrating since it minimizes your tire performance, compromises your vehicle handling and even your safety. Thus, you should take note of tire wear and take action before it’s late. This wear is due to misalignment; when the tire top leans towards or away from the vehicle. It means your wheels aren’t parallel thus there is a problem with the toe since your vehicle isn’t straight. One-side wear may also be caused by mechanical parts such as damaged, bent or worn out front-end parts i.e. ball joints and tie rods. Since one-side wear reduces steering response and tire life, you should seek proper wheel alignment from a professional dealer. This type of wear is mainly caused by underinflation since the edges may be having excessive contact with the surface. If your tires wear on both sides, you will realize decreased fuel economy so you should ensure your tires are correctly pumped. Ensure you inflate the tires according to the manufacturers instructions. Ensure you use air pressure gauge to check your tires pressure regularly. Overinflation causes central wear. Excess air makes the middle part of the tire have more road contact. Central wear can compromise the traction and braking; ensure you check with your manufacturer for the recommended air level. Mechanical parts issues can cause feathering, scalloped, cupping, or spotting wear since the tire is not tracking straight. There are could be several problems like worn suspension components, loose wheel bearings, aggressive braking or mismounted or imbalanced wheels. Unusual wear can lead to serious problems like compromised traction and braking, unsafe driving, and reduced tire life. Since unusual wear is dangerous, you should consult a tire expert or visit your nearest garage. Tire replacement ensures your safety and the safety of your vehicle. If you use your tires for five years, they should be inspected by an expert at least once every year. However, if you use tires for a maximum of ten years, you should replace them even if they don’t show any signs of wear. • Item Weight: 22.8 pounds. • Section Width: 26 inches. • Rim Diameter: 12 inches. • For ATVs, side by side, utility vehicles, and fun karts. • Item Weight: 40.2 pounds. • Product Dimensions: 30.1 x 30.1 x 10.1 inches. • Load Index Rating: 111. 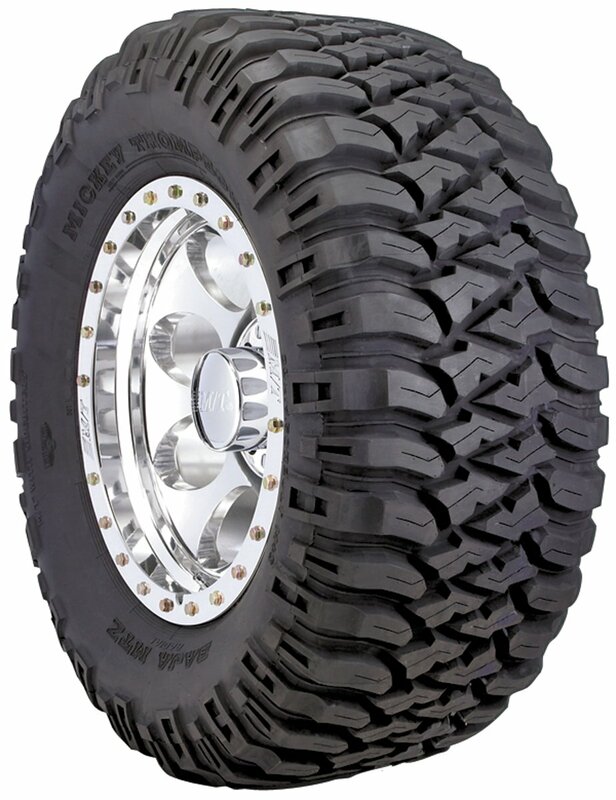 • All-terrain tire for light pickups, jeeps and SUVs. • Five-row read pattern featuring multiple traction edges. • Highly-engineered acoustics to ensure lower road noise. • Meets RMA and RAC severe snow service standards. • Item Weight: 33 pounds. • Product Dimensions: 29 x 29 x 14 inches. • Section Width : 28 inches. • Rim Diameter: 14 inches. • Tread Depth: 1.50 inches. • Same winning benefits and features of the original Mayhem. • 6-ply rated to ensure puncture resistance. • Tread pattern offers surprisingly smooth drive on hard pack roads. • Item Weight: 32 pounds. • Product Dimensions: 26 x 26 x 11.9 inches. 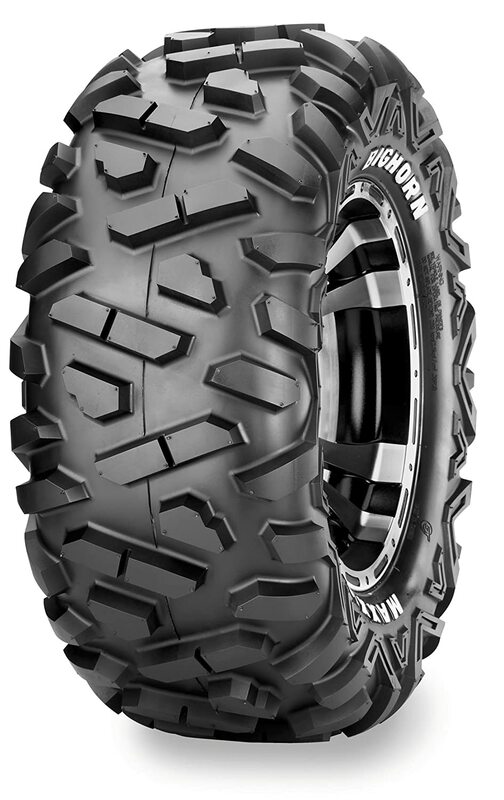 • Suitable for dirt, desert, and rock terrain. • Extra lugs on the shoulder guard the rim and sidewall. • Raised white lettering - one side. 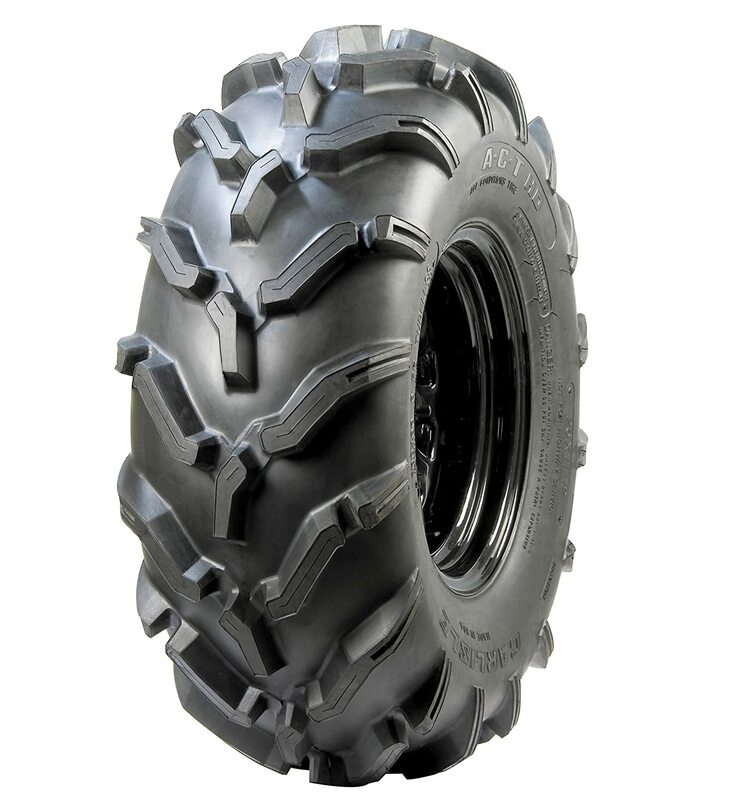 • Radial construction offers better shock absorption to provide a smoother ride. • Item Weight: 53 pounds. • Product Dimensions: 31.6 x 31.6 x 10.5 inches. • Load Index Rating: 121. 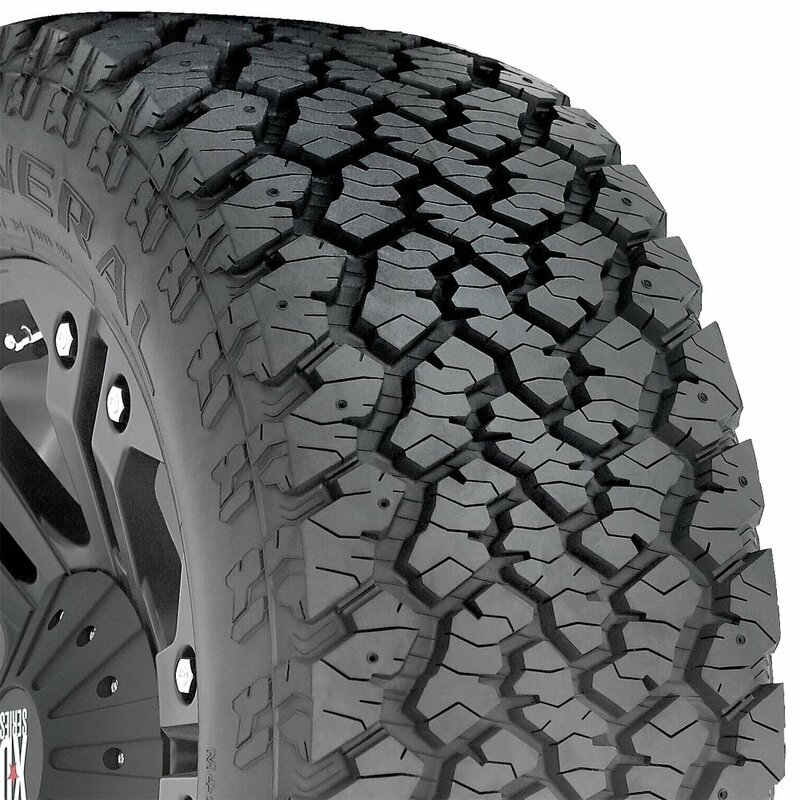 • Tread Depth: 18.5 inches.